Large 'Base Camp' Stainless Steel of Kelly Kettle®. 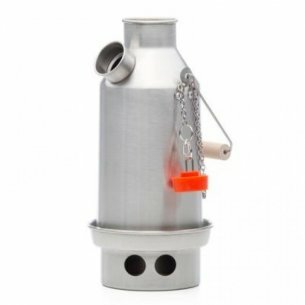 A highly efficient camp Kettle which is suitable for all outdoors enthusiasts who need to keep their pack light. Small 'Trekker' Stainless Steel of Kelly Kettle®. 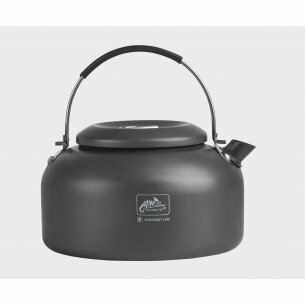 A highly efficient camp Kettle which is suitable for all outdoors enthusiasts who need to keep their pack light. Large 'Base Camp' Aluminium of Kelly Kettle®. 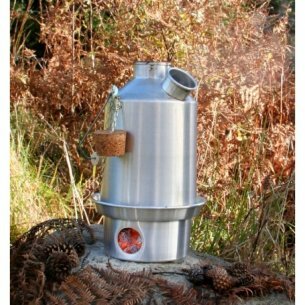 A highly efficient camp Kettle which is suitable for all outdoors enthusiasts who need to keep their pack light. Medium 'Scout' Aluminium of Kelly Kettle®. A highly efficient camp Kettle which is suitable for all outdoors enthusiasts who need to keep their pack light. 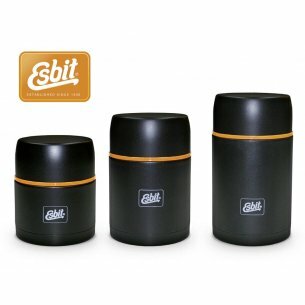 Esbit Vacuum Flask XL - 1.5 l (WM1500ML). 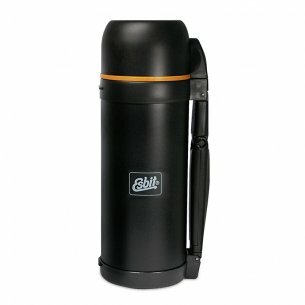 With a capacity of about 1.2 litres, this stainless steel vacuum flask accompanies you to your destination. Esbit Stainless steel Food Jug (FJ1000ML). Calming down, making yourself comfortable and enjoying a hot meal. Esbit Stainless steel Food Jug (FJ750ML). Calming down, making yourself comfortable and enjoying a hot meal. 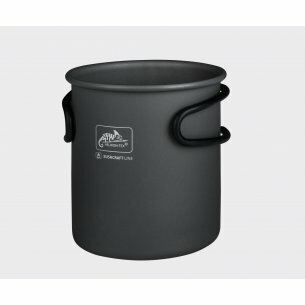 Esbit Solid Fuel Cookset (CS585HA) - 585 ml. When weight is important, this cookset is the right choice. 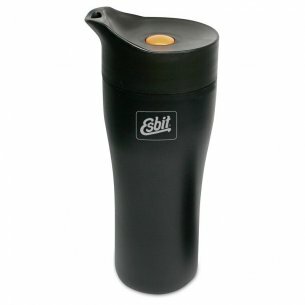 Esbit Polar Vaccum Flask - 1 l (POLAR1000ML). Suitable for outdoor use, but looks good in the city too. 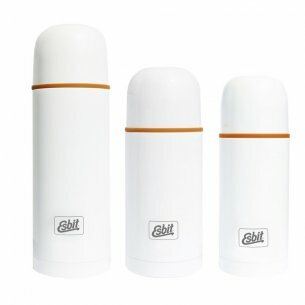 Esbit Vacuum Flask - 1 l (VF1000ML) - Stainless steel. Hot drinks - a luxury you would become aware of only if you had to do witout them. 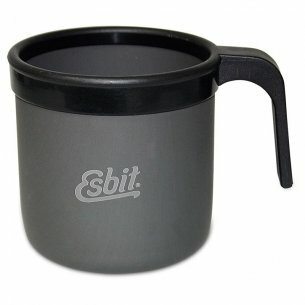 Esbit Stainless steel Food Jug (FJ500ML). Calming down, making yourself comfortable and enjoying a hot meal. 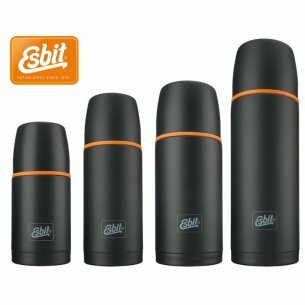 Esbit Vacuum Flask - 0.5 l (VF500ML) - Stainless steel. Hot drinks - a luxury you would become aware of only if you had to do witout them. 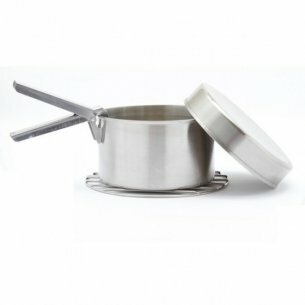 Cook Set - Stainless Steel - Large for 'Base Camp' or 'Scout' Models of Kelly Kettle®. Enjoy cost free, Carbon-neutral cooking outdoors using whatever natural fuels are available. 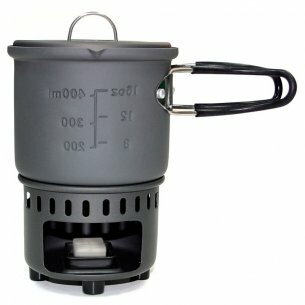 Esbit Pocket Stove Large (00289000) incl. 12 x 14g. 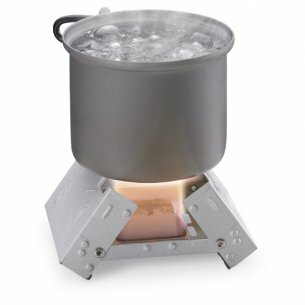 This pocket stove made of electrolytic galvanized steel is always there when you need it. 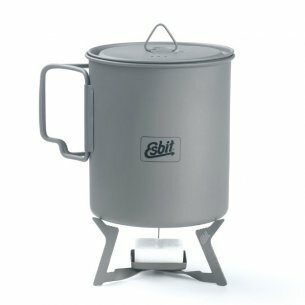 Esbit Titanium Solid Fuel Stove (STI11.5-TI). Made of titanium, which is very light. On some trips, every single gram counts. 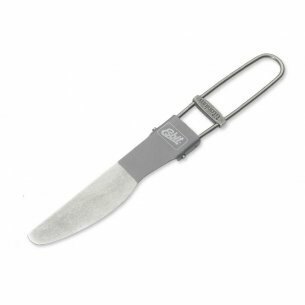 Esbit Titanium Knife (FK14.5-TI). Made of titanium, which is very light. Foldable and handy. 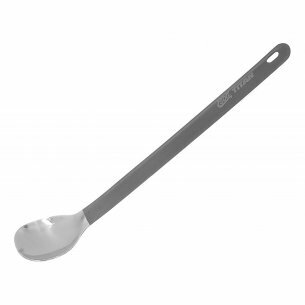 Esbit Titanium Spoon Extra Long (LSP215-TI). Made of titanium, which is very light. Very long spoon. 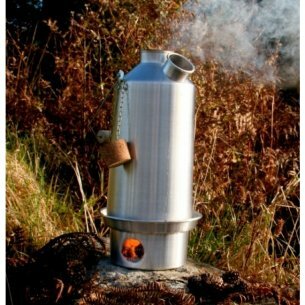 Hobo Stove - Stainless Steel of Kelly Kettle®. 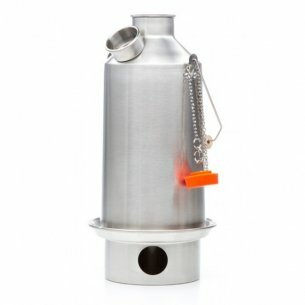 Place this Hobo Stove accessory onto your stainless steel firebase for safe & efficient outdoor cooking. Esbit Pocket Stove Small (00209100) incl. 6 x 14g. 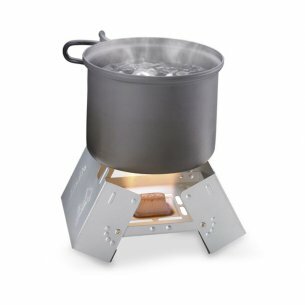 This pocket stove made of electrolytic galvanized steel is always there when you need it. Preparing meals outside the home is a great task, but also requiring proper equipment. Every tourist, survival lover or uniformed worker knows that no matter what conditions we are in, we need to provide the body with enough calories. Properly composed equipment will allow you to prepare a tasty meal without any problems. With a little desire to cook and eating in the field ceases to be only a chore. The field kitchen is an invaluable accessory, adapted to easy transport of dishes. 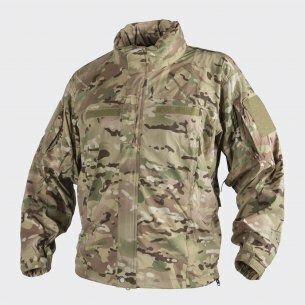 It is most often used by military organizations near the front lines or hard to reach areas. Fresh air, a warm meal in the company of the company is the best way to regain your strength. Field kitchen is also used for various mass events. It carries a direct association with pea soup, because nothing satisfies hunger, like a plate of hot and nutritious soup. The effectiveness of cooking increases if we are prepared for it. Therefore, the field cooking set should contain all the necessary elements that allow you to prepare a warm and nutritious meal, which we do often in difficult terrain conditions. In addition, when buying, pay attention to this type of set to be compact and light. These aspects should not interfere with endurance. Temperature resistance and any mechanical damage also play an important role. It is important that the whole can be easily hidden and transported. The tourist grill is a great option for people who like tourism and outdoor. 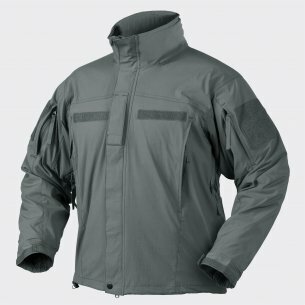 It is necessary equipment for a tent, camping, trip to the mountains or for fishing. The special folding design makes that regardless of where you live, you do not have to give up roasting on the grill. Made of light but durable materials, it is easy to transport. 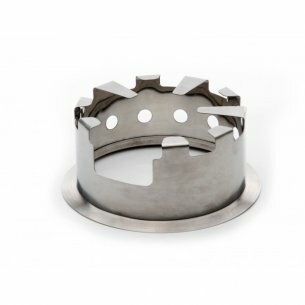 In turn, stainless steel used during production results in resistance to cleaning and damage. All you need is coal and kindling to enjoy grilled delicacies. 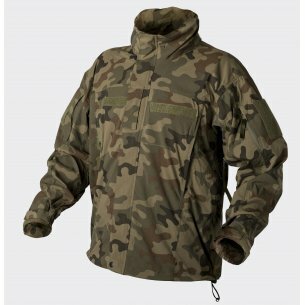 Kettle is an obligatory equipment for tourists, canoeists, hunters, anglers or professional uniforms. In other words, all survival enthusiasts must have it. Kettles of this type are available in various sizes. In addition, they tolerate almost every type of fuel, starting with sticks and ending with dry grass. We also offer a camp kettle. It is light and yet durable. It will ideally work both on a gas burner and a campfire. In addition to the aluminum kettles, we also recommend stainless steel kettles. In this category, we offer products for storing both liquids and food. A stainless steel thermos is a guarantee of long-term use. Thanks to its modern construction it is characterized by optimal thermal properties and antibacterial action. Thus, it maintains the right temperature of the beverage or meal for many hours. This is especially important when we spend most of our time in unfavorable and cold conditions. Therefore, for every trip, it is worth taking a thermos for food with you that will help you transport the food without losing its heat. When preparing for the trip, we can not forget about high-quality pots. It is also worth having a set of cutlery with you. Each of them should be solidly made. Thanks to this we will quickly satisfy the hunger and we will gain strength for further actions. 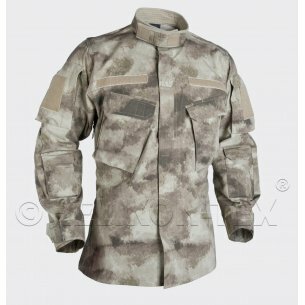 The survival accessories offered by our company have been carefully selected. They come from reputable manufacturers, so they are trustworthy. In our proposals, not only novice tourists or hobbyists will find equipment for themselves, but also professionals who love hiking and survival. We encourage you to familiarize with the whole offer!